inFamous: Second Son was the PlayStation 4 game we were all waiting for. The first proper foray into the capabilities of next-gen gaming. For those familiar with Sucker Punch’s previous PS3 titles, it would be the chance to see where the story of conduits would go post-Cole, but for those taking their first venture into the world, it would be a new opportunity to get behind some superpowers of their own. There’s no doubting that inFamous: Second Son is a great game, with some spectacularly beautiful graphics and brilliant gameplay, but the experience was marred by the unlikeable main character, Delsin Rowe. Cocky, arrogant and immature, the Second Son protagonist epitomises the worst of all the qualities we’ve become accustomed to as comic books and superheroes continue to bombard popular culture. With two playthroughs for the good karma and bad karma endings, it can feel like a long ride when the main character just feels like a complete jerk. 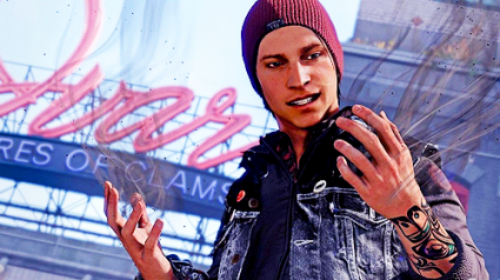 So just where does it all go wrong for Delsin? Read the rest of my article at This Is My Joystick.